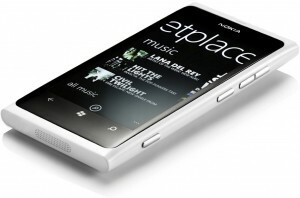 The white Lumia 800 uses the same glossy white finish that has already appeared on the Nokia N9, and just as with the Black, Cyan and Magenta versions of the phone the unibody polycarbonate is dyed all the way through and milled like metal to give it a high-tech feel. This new snow white version uses a high gloss finish that results in a near perfect pure white polycarbonate body “Pure white is very, very difficult to achieve,” says Tiina Aarras, Color and material designer for Nokia. “We had to try hundreds of white pigments to achieve the right colour and opaqueness.” What makes the Nokia Lumia different from other devices that are available in this color, is that it’s white right through. This requires a process that involves working with the best dye houses in the world to source a perfect pigment, and then stir it into the polycarbonate liquid to make a mould. 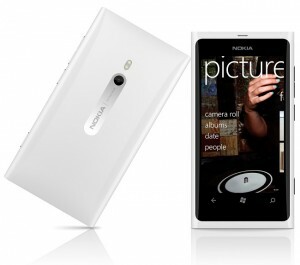 The white Nokia Lumia 800 is due to be rolled out first in the UK, Germany, France, Italy, Spain, Netherlands, Scandinavia, Finland, Poland and Switzerland, with other countries to follow. Next Next post: Google Wallet security flaw also on non-rooted devices.